LEDGlow’s White LED Pod Lighting Kit adds a unique white ungerglow to any motorcycle using eight waterproof pod lights that consist of 5 SMD LEDs in each to create an ultra-bright solid white glow. 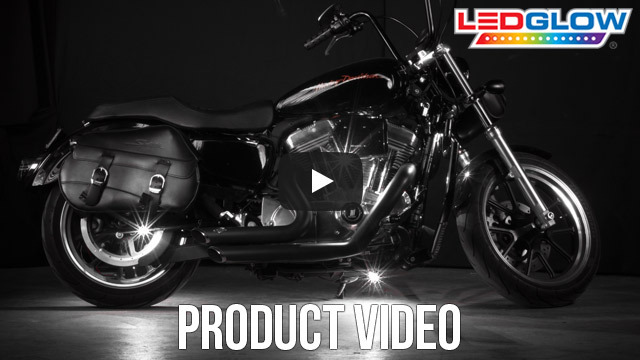 LEDGlow's White SMD LED Pod Lighting Kits add custom white accent lighting to your motorcycle or ATV at an affordable price. Each pod features 5 SMD LEDs, and the featured SMD LEDs allow for a lower profile pod that is only .30" thick, as well as adding a crisp white color to your bike. Each pod features a modular connector that lets you power this kit with either a control box, on/off switch, or by simply connecting it to any 12 volt power source. Each waterproof LED pod includes 3 feet of power wire, 3M tape, and mounting screws for a quick and easy install. 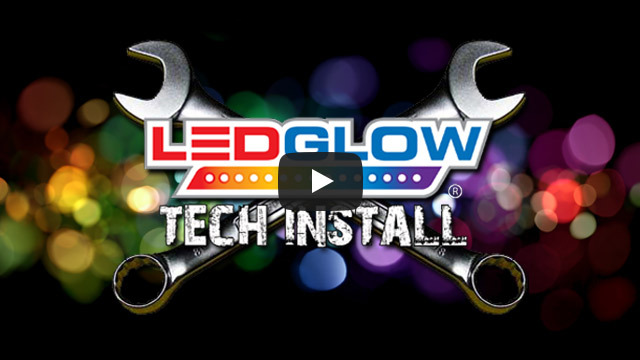 LEDGlow includes a one year limited warranty and free technical support with every purchase. I'm kicking myself in the b$$t for not buying more of them. I love them! these lights are a lot brighter than i had expected. i buy from LEDGLOW on the regular. im always trying the new products and these are fantastic! Im redoing my 1977 Chevy Cheyenne 4x4 and im going to use these in my cab for the "dome lights". one of these little lights put out enought light to light up the cab pretty well. i would recommend any product from LEDGLOW and i refuse to buy any LED lighting from any other company.